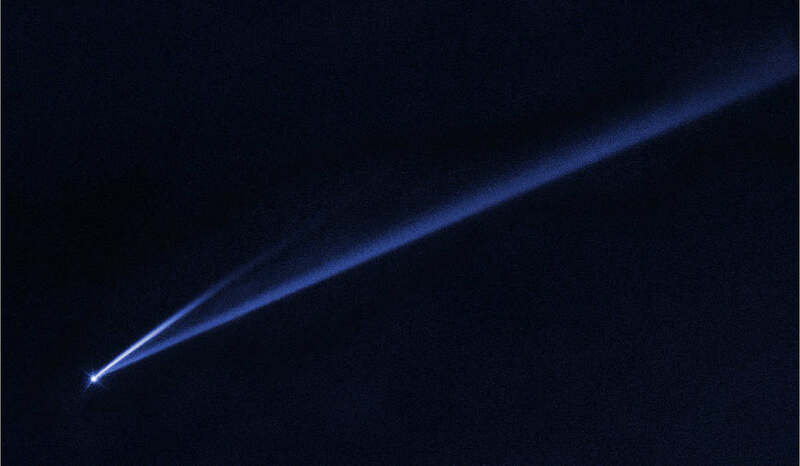 This composite picture shows images of storms on Neptune from the Hubble Space Telescope (left) and the Voyager 2 spacecraft (right). 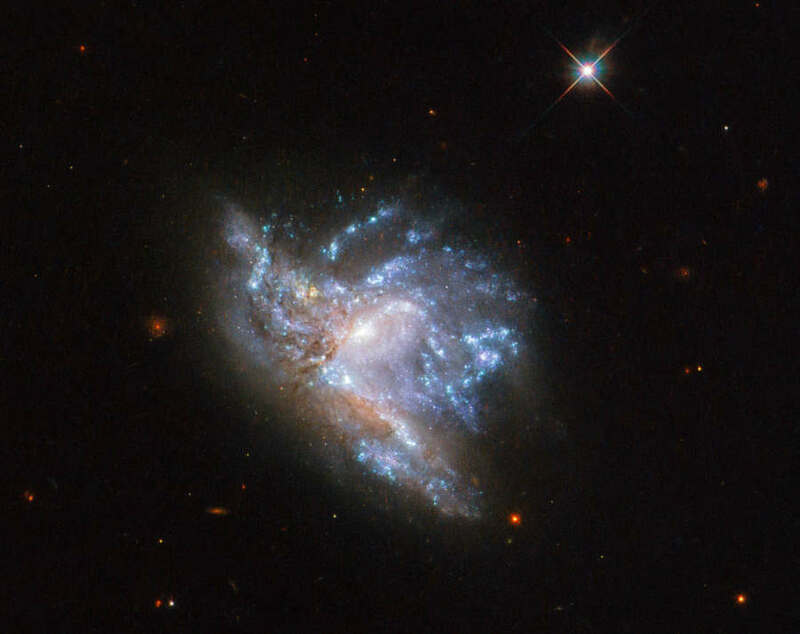 NGC 6052, a pair of colliding galaxies, located in the constellation of Hercules, about 230 million light-years away. 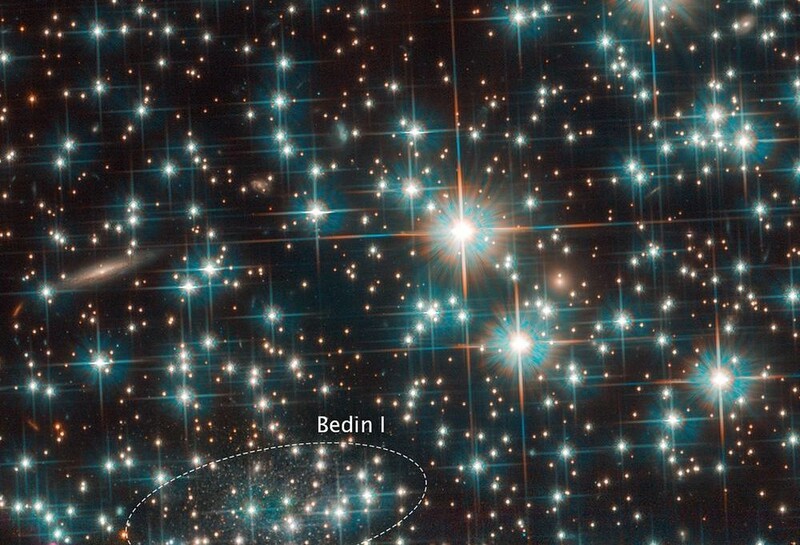 Astronomers using Hubble accidentally discovered a dwarf galaxy in our cosmic backyard, only 30 million light-years away. 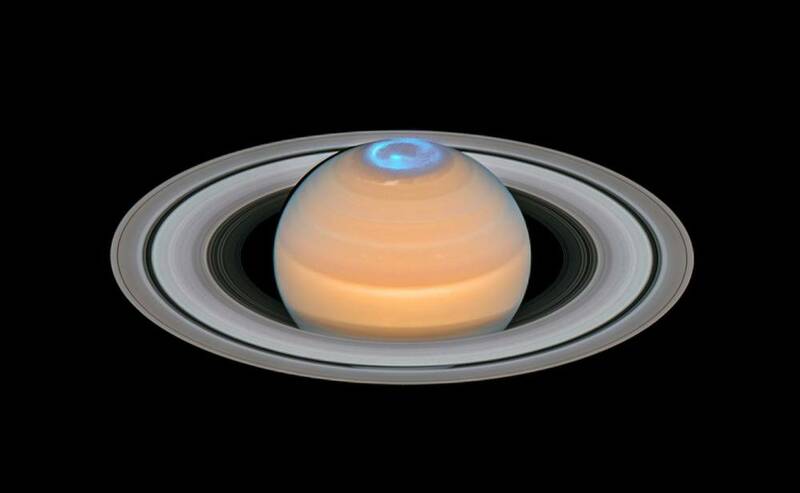 Spectacular images featuring the fluttering auroras at the north pole of Saturn, by NASA/ESA Hubble Space telescope. 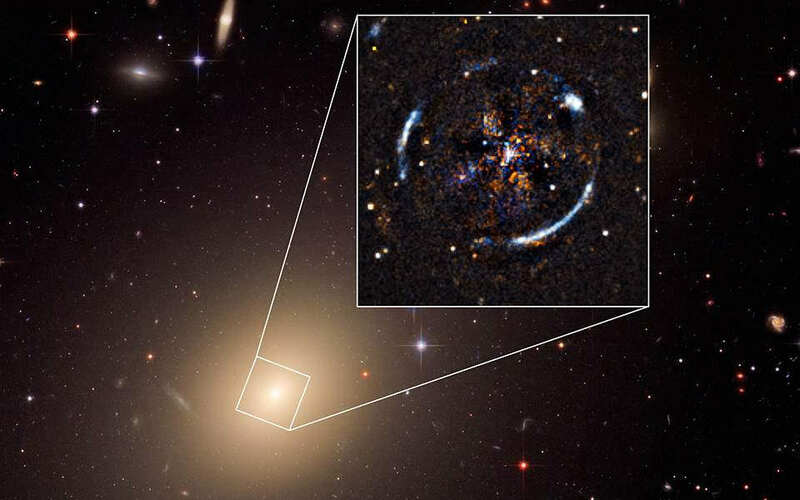 Astronomers have made the most precise test ever of general relativity outside the Milky Way. 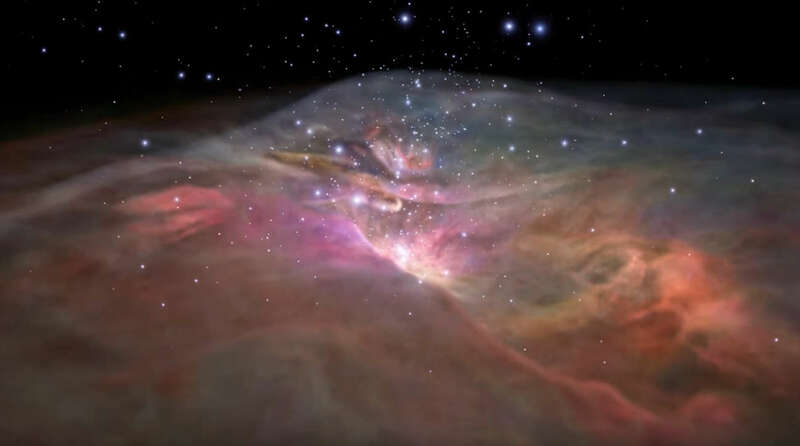 Take a look at this impressive flight through Orion Nebula in visible and infrared light. 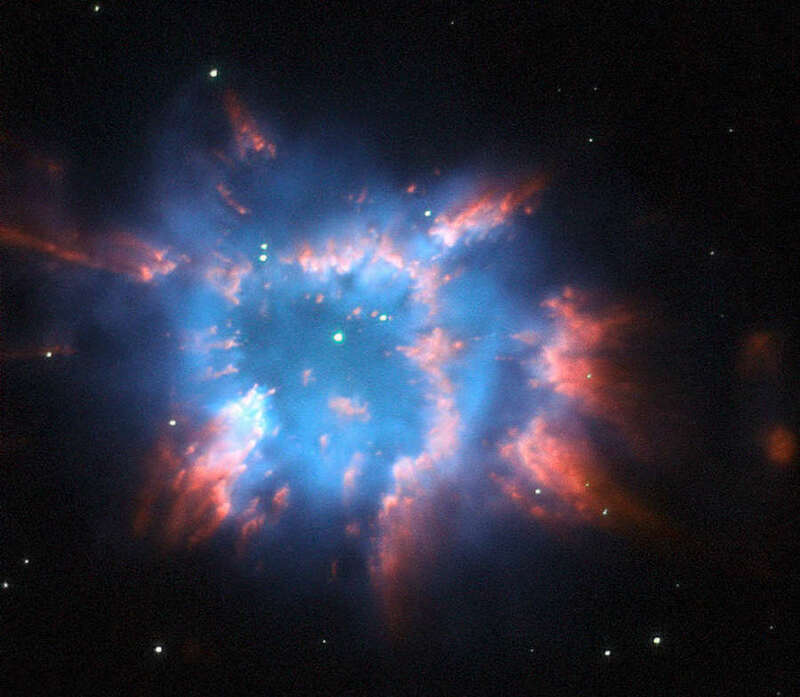 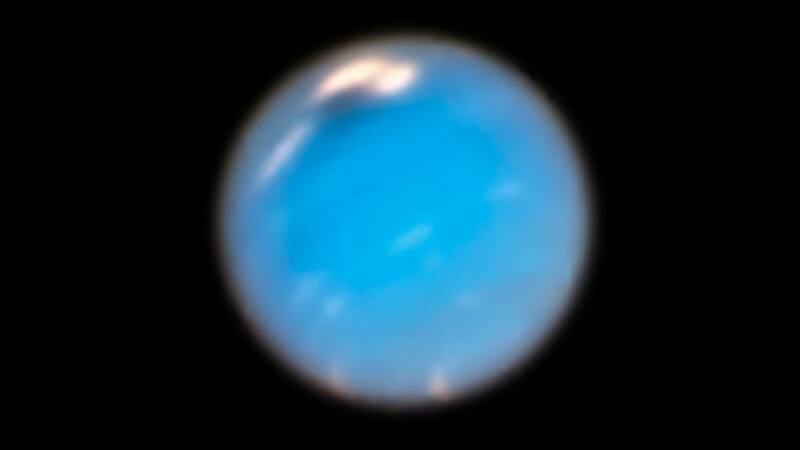 The Hubble Space Telescope captured what looks like a colorful holiday ornament in space. 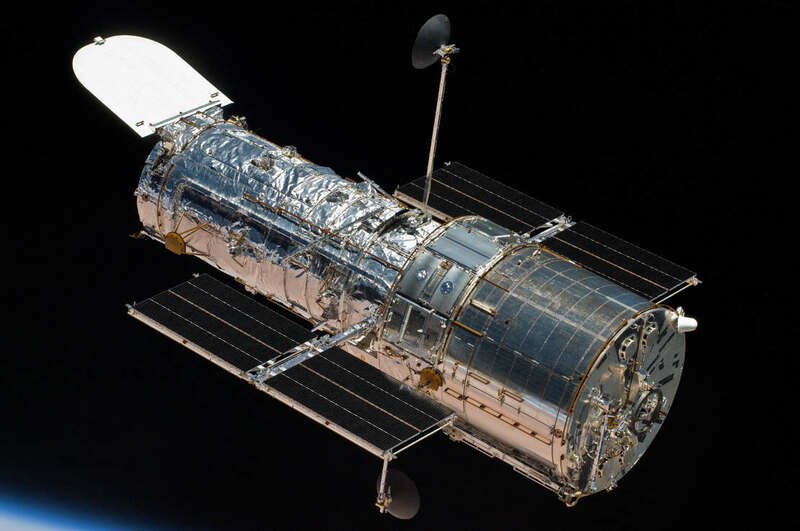 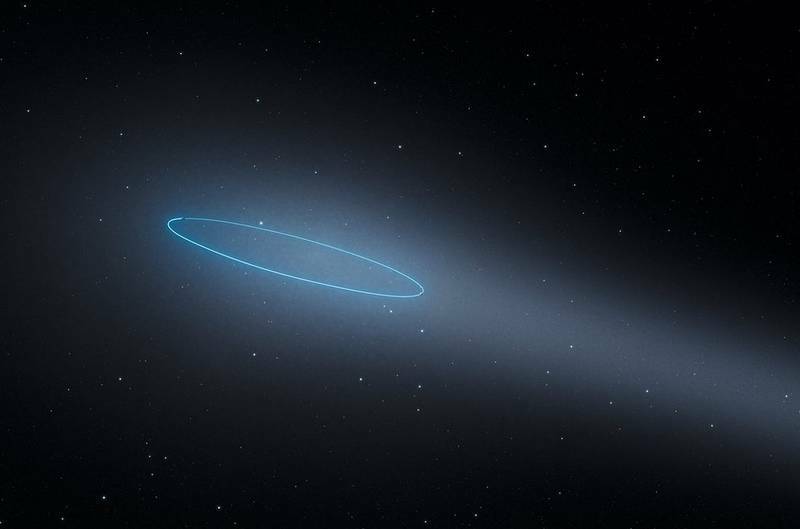 Hubble Space Telescope spotted a strange new object, the asteroid 288P.